If you or a family member is diabetic, you’re familiar with the long list of complications that can come with the disease, including neuropathy. 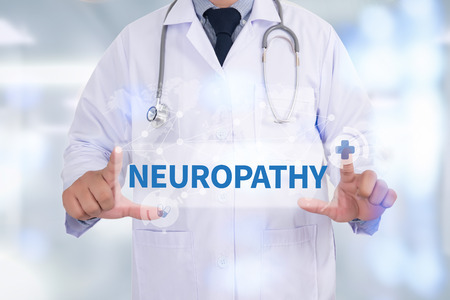 Neuropathy is a dysfunction of the peripheral nerves, which connect your brain to the rest of your body. When those nerves are damaged, they can no longer send signals to and from the brain. People with neuropathy often have numbness or tingling in their fingers or toes that can lead to serious pain. Untreated neuropathy can end up in permanent nerve damage. Inspect your home and remove any tripping threats including clutter, power cords, or small rugs. Make sure there’s adequate lighting throughout the house. Wear the proper shoes for the surfaces in your house. Non-slip shoes are great for tile and wood but could get caught on a carpet and cause a stumble. Are you looking for relief from neuropathy symptoms? It’s time to call us today! Here at Westfield Foot and Ankle, LLC, our podiatrist, Dr. David R. Sullivan, has years of experience treating any and all foot and ankle issues. Our conveniently located Westfield, IN office, serves both Boone and Hamilton County. Call us at 317-896-6655. What’s That Lump in Your Arch?